The new year isn’t just a time for personal betterment. In 2016, why not resolve to improve your ASQ®-3 or ASQ®:SE-2 screening program? Whether you screen regularly throughout the year, or have a single year-end screening period, the best way to make improvements is to find out what is and isn’t working. While there are lots of ways to evaluate program effectiveness, parent feedback is perhaps the most valuable since the success of the screening process rests on how accurately and thoroughly parents complete the questionnaires. Gathering feedback is also simple enough that even programs with limited resources can make it work. By asking parents and caregivers to share their thoughts on the process, you may discover ways to improve your overall procedures, or even catch a specific problem that would have prevented a parent from accurately completing a questionnaire—like they are having trouble reading it or received the wrong interval. 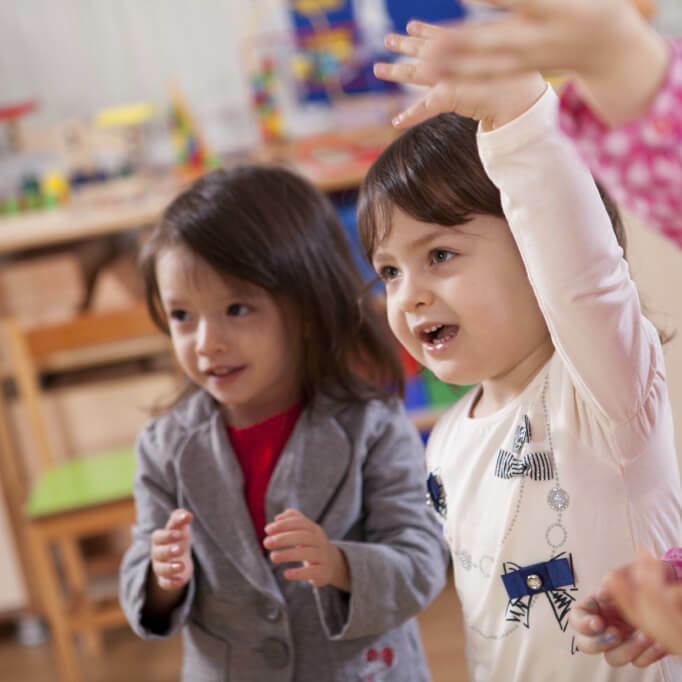 “Parents may have useful suggestions for improving how the ASQ® is distributed and completed, how results are shared, and how contacts are made with primary care practitioners,” explains Jane Squires, Ph.D., co-developer of ASQ-3 and ASQ:SE-2. How (and when) should we collect feedback? Since parents and caregivers are the ones completing questionnaires, it’s important to ask them regularly how your processes are working for them. In both the ASQ-3 and ASQ:SE-2 user’s guides, the authors recommend collecting feedback at least once a year. Getting parent feedback can be as easy as 1-2-3. This can be as simple as accompanying each ASQ questionnaire with a short survey that allows parents to report on their experience with the questionnaire. Did it take them very little or too much time to fill out? Did they learn anything new about their child? Did they struggle to understand any of the items? How enjoyable was the process? “Surveys will often be more helpful and honest if they are anonymous,” explains Squires. But since some answers may point to issues unique to the particular parent, she adds that programs can provide a separate, optional space for parents to provide an email or phone number and indicate that they want to be contacted. Squires says that in addition to written surveys (or as a less formal alternative), programs can ask parents in person what can be done to improve the experience—as well as what’s working—and record their answers. Another approach would be to offer a form on your website for collecting suggestions and feedback. This will show how much you value parent input and will hopefully encourage others to offer their thoughts on the process. How do we use feedback to make improvements? Congratulations! You now have some valuable information to help you stick to your resolution to improve your screening process. Based on the feedback you have, how do you know when to take action, and what actions to take? Depending on the volume of data you’ve collected, one or two concerns may not warrant sweeping changes. “But if there are several similar comments, this may indicate a trend that needs some response or change. I think programs need to make these decisions using a small group of stakeholders, including teachers, administrators, and parents,” says Squires. Parents don’t understand the screening process. – Are you discovering that parents are confused by the questionnaire or follow-up process, or that it’s taking them too much time to complete the ASQ questionnaire? This could indicate that your staff needs to tweak the introductory process to provide greater explanation and an opportunity for parents to ask questions beforehand. Take a second look at how you’re communicating about the ASQ in advance. Would it be beneficial to offer materials in a second language? Or to plan a group Q&A session to discuss the merits of screening and what families can expect? Get more ideas with our free online resources designed to improve family engagement. Along the same lines, parents may ask for more explanation and support regarding their child’s results. Squires says that some programs have changed their process to provide feedback in person, as well as more support for planning a follow-up assessment when needed. The method of distribution isn’t effective. – Perhaps you’ve found that parents don’t have time to complete the questionnaires at home, or that sending it home results in less participation. Consider having the questionnaires completed on site. Squires says that some child care programs have added kiosks to their lobby, where parents can fill out the ASQ after dropping off their child. Many pediatric offices have integrated the ASQ into annual well-child visits, adding extra time to the appointment for on-site completion and Q&A with the doctor. Parents need help filling out questionnaires. – Parent feedback is useful for identifying when particular parents need help reading or translating the questionnaires. Rather than find that a child’s scores weren’t accurate because his parent had trouble with the questions, you now have a chance to go back and assist. Of course it’s even better if you can adjust your program procedures to account for reading or comprehension challenges in the future. If language barriers are a common problem, work into your program a step that assesses which parents need a Spanish language ASQ and also provide educational materials in Spanish. Other non-English speakers may benefit from using an interpreter and completing the ASQ over the phone. Are there other ways to evaluate my program’s effectiveness? How extensively your program is able to assess these areas, as well as parent feedback, will of course depend on your resources and staff expertise. To learn more about all the evaluation methods, see chapter 7 of both the ASQ-3 and the ASQ:SE-2 user’s guides.